An absolute gem! 96 marked pools on 36 km of fishable water. All perfect for fly fishing. 90% of the pools are very easily accessible but still the odd few for the more adventurous anglers. This is top-class salmon fishing an hour from Reykjavik. Total isolation, no traffic, 2 rods per beat, each beat fished for 6 hours. Then rotation through the day. Forget fishing the same pools over and over again. The biggest advantage for this river is the distribution of the salmon, they are freaking everywhere. Not like some rivers where you have a total of 4-5 good pools and everyone is waiting their turn to fish those pools. There are fish jumping literally everywhere! LODGING DETAILS: The Langarbyrgi lodge is perfectly located on the banks of the river overlooking the upper and lower Harlequin pools. In the summer evenings the sun never sets and guests can enjoy the fresh air on the back porch and see salmon jumping in the pools below. The Langarbyrgi lodge offers accommodation in a total of 12 double rooms each with en suite facilities. There is a sauna for our guests to relax in, heated wader storage room, two sitting rooms and a dining room. The catering in the lodge is in the trusted hands of Viktor Orn Andresson, 2016 Bocuse D'or Bronze medalist. He is one of Iceland's top chefs and so guests can be assured of fine dining during their stay at the Langa River. 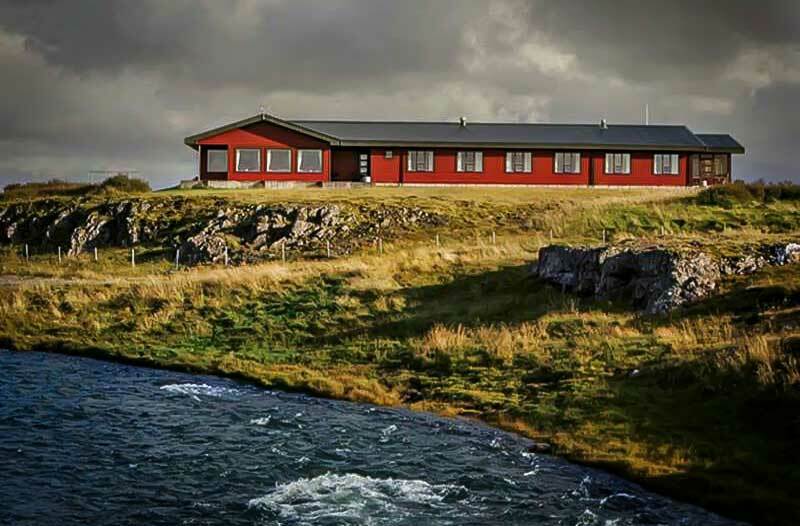 NON-ANGLING ACTIVITIES: Langarbyrgi lodge is situated in a very remote part of Iceland, and overall, this is a fishing-focused operation. However, with that said, there are a handful of non-angling activities including birdwatching, enjoying the wonderful landscapes, and trekking in the remote landscape. GENERAL INFO: The Langá is 36 km long with 93 named pools. 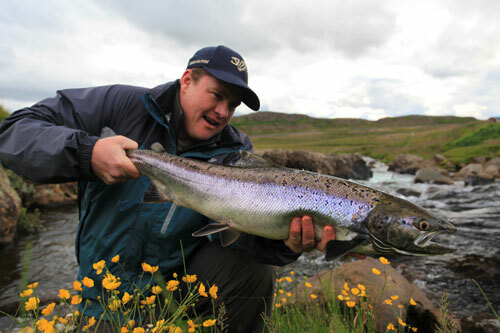 Located in the same area as Nordurá, it is a typical Icelandic salmon river offering technical fishing with small flies. This river has been fished by the British since the early 1900’s, and has had a huge amount of work done to it in terms of fish ladders and other devices to improve its course for salmon to run. To make all the pools accessible roads have been built so fishermen can drive to within 50 yards of every pool. Therefore young and old anglers can safely and with ease enjoy fishing the whole river.